The iA goes on sale on Sept. 1 and starts at $16,495, including shipping, for cars with the base six-speed manual transmission. Editor's note: A previous version of this report incorrectly stated the type of sensor used in the precollision system. It uses a laser sensor. SAN FRANCISCO -- Most buyers spending less than $17,000 on a new car are happy to get the basics: a decent sound system, power windows, alloy wheels if they're lucky. But a precollision braking system worthy of a pricey German sedan generally isn't on the menu. Yet that's one of the standard features tucked into Scion's new iA subcompact sedan. The iA goes on sale on Sept. 1 and starts at $16,495, including shipping, for cars with the base six-speed manual transmission. The 2016 iA is essentially a sedan version of Mazda's Mazda2 (not sold in the U.S.) with a Scion face and badges. 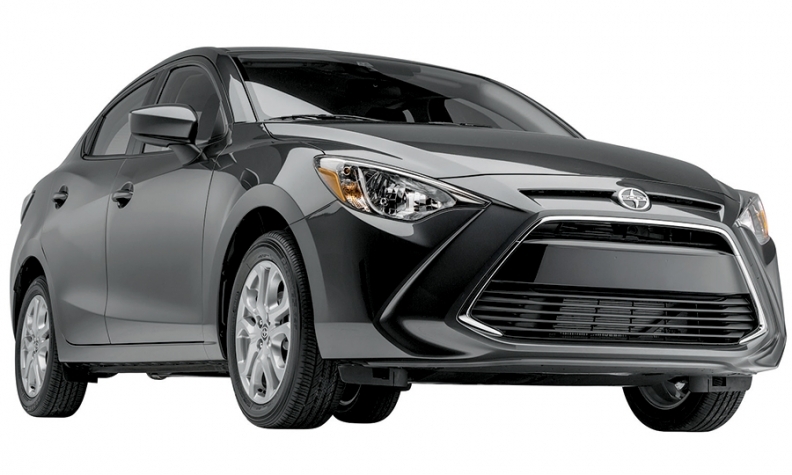 When the two automakers sat down to hash out what features to include in the single-trim iA, the precollision system caught Scion's eye. "We looked at that feature and said we're in," Doug Murtha, Scion's group vice president, told Automotive News at a press event here for the iA and larger iM hatchback. The system, built by Conti Temic, a subsidiary of Continental AG, uses a laser sensor to scan the road roughly 30 feet ahead of the car, and only when the iA is moving between 2 and 18 mph. If a large object is detected ahead and the driver doesn't touch the brakes or steering, the iA will issue an audible warning, then flash an indicator light on the dashboard and precharge the brakes, and finally apply the brakes if the driver hasn't already done so. The prevailing wisdom is that "young people don't care" about safety, said Murtha. "But surprisingly when we researched this stuff, they did glom on to [precollision technology]. They saw value in it." The technology is part of a safety package Mazda uses on the Mazda2 abroad and the coming CX-3 crossover in the U.S. Mazda assembles the Scion iA alongside the Mazda2 and Mazda3 in Salamanca, Mexico.